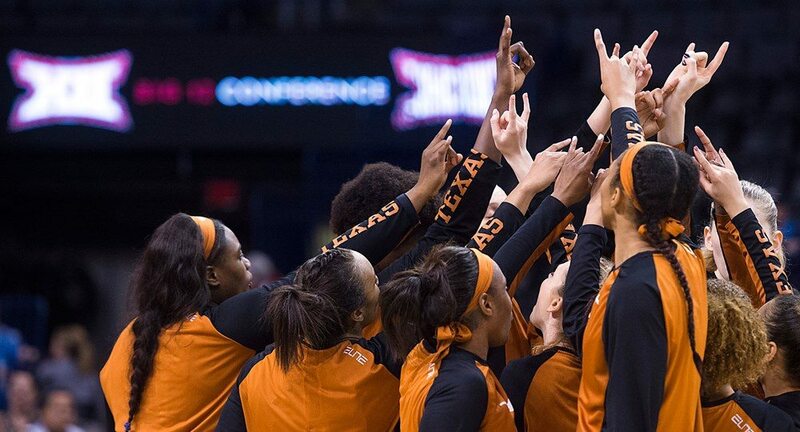 The University of Texas women's basketball has a rich tradition, and now boasts an assistant coach in Tina Thompson who was named one of the 20 greatest players in WNBA history (photo courtesy of texassports.com). AUSTIN, Texas — The most prolific scorer in the history of the Women’s National Basketball Association, Texas women’s basketball assistant coach Tina Thompson earned another honor Tuesday when she was named as one of the Women’s National Basketball Association’s top 20 players of all-time. Thompson, who is entering her second season on the UT staff, was the first pick in the 1997 draft and finished her career in 2013 with 7,488 career points in 496 career games. Tamika Catchings, a forward on the 2016 Indiana Fever, is second on the career scoring list with 7,117 points. Thompson was part of four WNBA champion teams with the Houston Comets, was named to the league’s All-Decade team, an eight-time All-WNBA Team selection, a nine-time WNBA All-Star and the Most Valuable player of the league’s 2000 all-star game. Thompson played 12 of her 17 professional seasons in Houston before returning home in 2009 to play for the Los Angeles Sparks. She became the WNBA's all-time leading scorer on August 8, 2010, scoring her 6,264th point to pass former teammate Lisa Leslie. She concluded her professional career in 2013 with the Seattle Storm. Thompson was chosen from a list of 60 nominees who were selected based on factors like on-court performance and ability, leadership and sportsmanship, as well as contributions to team success. In addition, all players must have been a member of a WNBA team for two seasons and met three of the following seven criteria: the winner of a major individual award; a selection to either the All-WNBA First Team or All-WNBA Second Team; a selection to either the WNBA All-Defensive First Team or WNBA All-Defensive Second Team; a selection to the WNBA All-Star Game; a member of a WNBA Championship team; a current ranking among the top 30 career leaders in at least one major statistical category; and a selection to either the WNBA's All-Decade Team (voted on in 2006) or the WNBA's Top 15 Players (voted on in 2011).